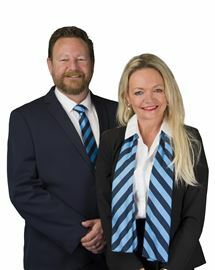 Your Selling Director – Ben Hatch If there is a real estate agent who knows his territory, it is Harcourt’s Mandurah Selling Director Ben Hatch – he has lived and worked in Mandurah for 29 years. Ben quotes “I enjoy keeping a close eye on the market in the Peel region and particularly monitor what has sold and who it has sold to”. Ben began his career in his family business at the age of nine with his parents educating him with business, serving people, everyday skills and most importantly values. From there, he spent 12 years in the motoring industry as Dealer Principal managing new car dealerships and service departments for three high profile brands in Mandurah. From 2001 to 2003, Ben conducted his business training with renowned car dealer John Hughes. “John’s philosophy is without a doubt “People First”, which is a value also shared by Harcourts, hence the reason I became associated with this organisation,” he said. 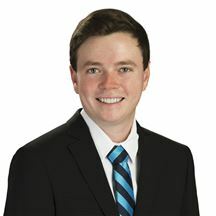 Ben gets results in the Real Estate industry and his team deliver the level of service his clients deserve. The ‘Ben Hatch Team’ team consists of Ben, who handles all direct communication, communication with Buyers and liaises with sellers and all new business. Zoe Hensgen, Ben’s personal assistant is in charge of all administration duties and behind the scene works. Together Ben & Zoe form the award winning ‘Ben Hatch Team’ who are always available to help with any real estate requirements. Harcourts Mandurah are currently a strong office of 45 team members. “We celebrated our 8th birthday in April 2018 and are proud to be one of the leading agencies in the Peel region for Sales, Marketing and Property Management,” Ben said. He believes being well educated, honest, having high standards and always being up for a good laugh during business has contributed to his reputation. However, despite his success in real estate, Ben said his greatest achievement to date had been his family offering continual support. Ben quotes “I think the best thing about working in real estate is being able to work as hard as you like; the old adage ‘the harder you work, the luckier you become" ’ is so very true. Wayne is a proud business partner and licensee of Harcourts Mandurah, having been the State Trainer for Harcourts in Western Australia for the last few years. He has been a core lecturer for various RTO’s over recent years, delivering real estate courses to hundreds of individuals and is a mentor to a large number of his past students. Wayne started his career in the electronics and IT industries, in which he holds formal qualifications. The last position he held in that ﬁeld was as IT manager for a large international automotive company. Wayne also had the opportunity to contract for IBM at the 2000 Sydney Olympic Games. In 2001 Wayne took over the family real estate business, which he developed into a national award winning team and is today one of the leading Harcourts offices in South Africa . Originally from South Australia, Angela fell in love with Mandurah after visiting the area on holidays and immediately knew this was where she wanted to be. After buying a house in Dudley Park the family quickly settled into the Mandurah lifestyle, enjoying all of the delights and experiences on offer. 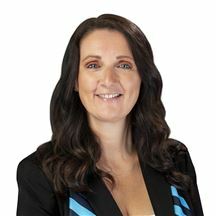 Angela has a genuine desire to help people achieve their property dreams whether seasoned investors, first home buyers, downsizers or upsizers. With over 20 years experience in customer service she knows the importance of truly listening to the client and making sure she understands their needs. 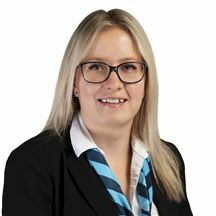 Angela is excited to further her real estate career with Harcourts Mandurah and looks forward to offering exceptional service for many years to come. 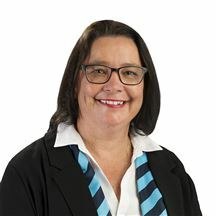 Gypsie Jacob began her journey in the Property Industry at the age of 17 in a settlement agency. Throughout her time in settlements she progressed through many roles including Outside Clerk, Personal Assistant, Administration Manager and lastly as an Executive Assistant to her Licensee when they opened a new settlement agency in 2013. Early in 2016, Gypsie took on a role in Real Estate as Buyer’s Agent that allowed her to work closer to home in Mandurah and further her education in the property industry. Now, Gypsie works alongside Clare Seamer as her Personal Assistant. Gypsie is passionate about providing a high level of customer service and prides herself on her ability to assist clients in a professional and efficient manner. She prioritises her client’s needs and is well known for her warm and friendly approach. Karen and Matt live in the beautiful beachside suburb of Silver Sands and love the lifestyle the area has to offer, from it’s stunning beaches and waterways to the Mandurah foreshore restaurants and cafes. Karen has been involved in the real estate industry for 27 years as a commercial and residential Lending Manager in the finance industry. This invaluable experience means Karen fully understands her buyers and sellers requirements when taking their next real estate step. Matt has served 16 years in the Australian Regular Army, 5 as a paratrooper and a stint in Iraq as a bodyguard to the Australian Ambassador. Post discharge, Matt managed his parent’s café in Perth for 3 years and then sold Black Perigord Truffles to exclusive restaurants in Perth and the Peel region for a two year period on behalf of his parents, who opted for a tree change and wound up buying a truffle farm in Manjimup. Matt’s previous career in the military has instilled in him a strong sense of discipline, attention to detail and a distinct “can do” attitude no matter what the circumstances. Team Ikin makes a formidable force in the real estate industry. If you want your property sold, contact either Karen or Matt. You’re in safe hands with Team Ikin! I enjoy working with responsibility, dedication and perseverance and have done so during my 17 year career as a Sales Executive in the Real Estate Industry. I specialise in The Falcon, Dawesville and Bouvard area and draw upon my highly developed negotiation and problem solving skills while developing great interpersonal relationships with my clients. After spending 10 years in the banking industry both in New Zealand and Australia, Andrea made the decision she needed more passion in her working life. A career she enjoyed getting out of bed for. Fast forward 5 years and she is pursuing that dream. After gaining her real estate registration in 2012 she hasn’t looked back! 2016 was the year Andrea decided to expand on her knowledge in real estate and joined a boutique agency to become a Property Manager. As much as enjoyed the small team a boutique offers, she decided a move to bigger office like Harcourts where they can offer the support and ongoing training was what she felt was needed to continue her success within the industry. Andrea prides herself on commitment, honesty and care. 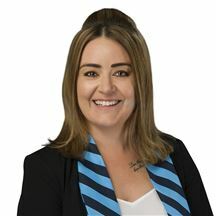 Since joining Harcourts Mandurah Andrea has relished in the fantastic team culture with the Harcourts values of “people first”, “doing the right thing”, “being courageous” and “fun and laughter”. 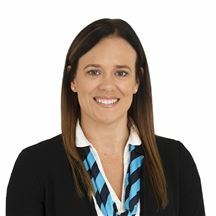 She enjoys helping people and is looking forward to working with the Property Management team at Harcourts Mandurah. After spending 13 years residing in Port Hedland, not only running her own business & working locally, Kylie re-discovered her passion for property management. Kylie actually originally chose the career of property management when she initially left high school so that drive for our industry was already evident. Having worked in the highly demanding job of retail sales, this re-defined her choice of property management and renewed her passion. Kylie is a confident Property Manager and offers a friendly, knowledgeable approach for her clients and enjoys all aspects of property management. Kylie also prides herself on her commitment, loyalty and is very caring. Since joining Harcourts Mandurah Kylie has hit the ground running with her clients offering exceptional service ! 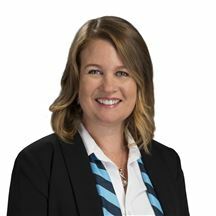 She is a fantastic asset to our PM team at Harcourts Mandurah. Kylie has three adult children and also enjoys socialising with family & friends. She also enjoys relaxing on her time off with her dogs at our beautiful Mandurah beaches. Samantha has moved to Western Australia from the United Kingdom after living there for many years working within the customer service industry. She has moved to Western Australia for herself and her family to enjoy the opportunites that Western Australia can offer. Samantha joined the Harcourts Mandurah Property Management Department in September 2012. Samantha has always had a great passion for Property Management, continually going above and beyond the requirements of her role to deliver a prompt and efficient service. Samantha is highly organised and enjoys dealing with the everyday challenges that Property Management can bring. 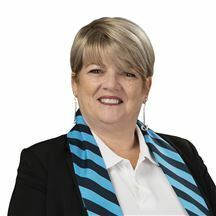 With a long history in Real Estate, Sam brings with her years of knowledge and wisdom to guide and aid all her clients in the right direction, thus providing them with the service and reliability each of her customers deserve. SOLD by Ben Hatch Team! !